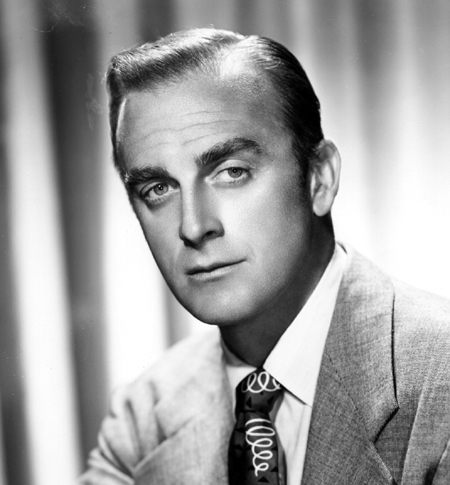 Other great radio actors seem to have been born to become great radio actors, but John Dehner is an exception. John Dehner was destined to be great, regardless of the field into which he put his efforts. John Dehner was an an atypical actor, working as an animator, WWII army publicist, disc jockey, and pianist before hitting the stage and the airwaves. He was born in Staton Island to an artist father and grew up in Europe. After returning to the US, he tried his hand at acting and worked like a horse, playing in up to seven movies a year. Dehner was born John Forkum in 1915, Staten Island, NY. His father was an artist who took his family all over the world in search of work and inspiration. John attended grammar school in Norway and France, and high school in Hastings-on-Hudson, NY. He studied to be an artist at the University of California, but became an actor instead. Dehner spent the last half of the 30's in New York pursuing a theater career, but there were few jobs as the Depression wound down. Realizing that as long as he was going to starve, he might as well starve in sunny California. There, his artistic training got him hired as an Assistant Animator (Dehner drew the Owl sequences in Bambi and the Beethoven sequence in Fantasia). Dehner left Disney in answer to the Nation's call, and his skills with language and media made him more valuable in Army public relations than on the front lines. When he left the service, he wanted to be an actor instead of an artist. So I went into radio Dehner said. Radio announcing, and drifted into radio news and was news editor of stations KMBC and KFWB and I left that because I just drifted back into acting. As an announcer, Dehner won a Peabody Award for his coverage of the first United Nations Conference, but it just was not as satisfying as acting. 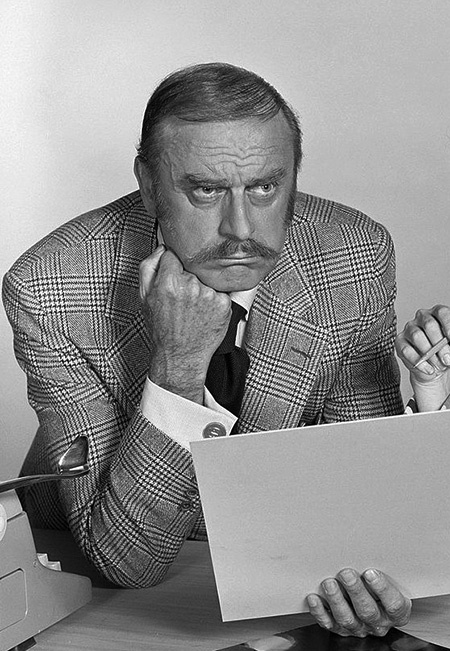 As a journeyman radio actor, John Dehner was everywhere, he appeared in the cast of nearly every network prime-time hit, as well as most of the low budget time-fillers. CBS producer/director Norman MacDonnell appreciated with Dehner's voice, and found a way to include on most of his projects, especially when Suspense or Escape took a trip to the Old West. There was something in the voice of the man from Staten Island who grew up in Europe that brought to mind sagebrush and long days in the saddle. Dehner was MacDonnell's early choice to play Matt Dillon on Gunsmoke. At the time, Dehner feared typecasting in Western radio roles. Although Dehner would appear in a huge variety of guest roles, he is most associated with his starring roles in a pair of Westerns. Frontier Gentleman came to the air in 1958, a time when there were already plenty of Adult Westerns. The hook for Gentleman was Dehner's character, a disgraced British Army Officer who was on a personal exile in the West. J.B. Kendall had a sense of wonder at the expanse and beauty of the West, but tempered by melancholy for the way life has treated him and treats the Westerners he meets. Although remarkably well played and produced, Frontier Gentleman lasted only a single season; a victim of the growing dominance of TV. That season ended a week before the radio premier of Have Gun, Will Travel. Some commenters consider Have Gun, Will Travel on the radio to be MacDonnell's revenge for having Gunsmoke taken away when it went to the small screen. Have Gun, Will Travel is unique as a program which started on TV before coming to radio. The first seasons used stories from Gene Roddenberry's TV scripts, heavily adapted for radio. The later radio episodes were original stories, some of which filled the the back-story of the character Paladin. Paladin was played on TV by Richard Boone, and in many ways, Paladin was Richard Boone. Dehner made it a point to pay little attention to Boone's Paladin, knowing that any sense of imitation would harm the radio version. More than a few critics find Dehner's Paladin superior. However, radio's Have Gun, Will Travel was a victim of the same purge known as "the Day The Radio Soap Opera Died"; the last episode aired two days after CBS canceled their remaining daytime soaps. 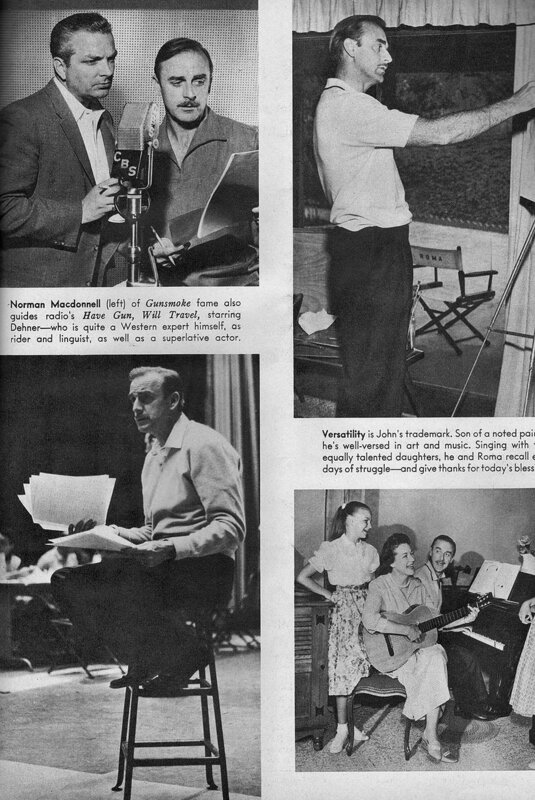 The Golden Age of Radio would come to an official close on Sept 30, 1962, but John Dehner would continue to work in film and TV, nearly until the time of his death in 1992. Dehner found himself a character actor on radio westerns. Included are this collection are episodes of him playing the bad guy on Gunsmoke and Paladin on Have Gun, Will Travel. John appeared in some of the greatest old time radio shows of yesteryear including Escape, Let George Do It, NBC University Theater, Phillip Marlowe, Rogers of the Gazette, Suspense and Yours Truly Johnny Dollar, just to name a few. In all those years and all those parts, John Dehner used to say, with a laugh, that as an actor he never kissed or won a girl. DID A LOT OF GUNSMOKE RADIO and have gun will travil as the radio paldin and another western show where he was the star. He was also in many films. Frontier Gentleman... one of the best. Also wrote a lot of radio drama. he was one heck of TALENT. I think he started out as a cartoonist as well. I could be mistaken on this however. He did Frontier Gentleman, a English newspaper reporter covering the old West a few months before he did Have Gun Will Travel.. Wonderful actor, in radio and TV. Always a delight. He was no stranger to The Twilight Zone. "The Jungle" was probably is finest episode. Also "Mr. Garrity and the Graves" was another great episode he was in. I like that one too, I think "The Jungle" is one of the scariest episodes and that last shot chills me every time. My all-time favorite Twilight Episode is called "The Howling Man. I like that too, but I think my favorite is "Stop over in a Quiet Town. 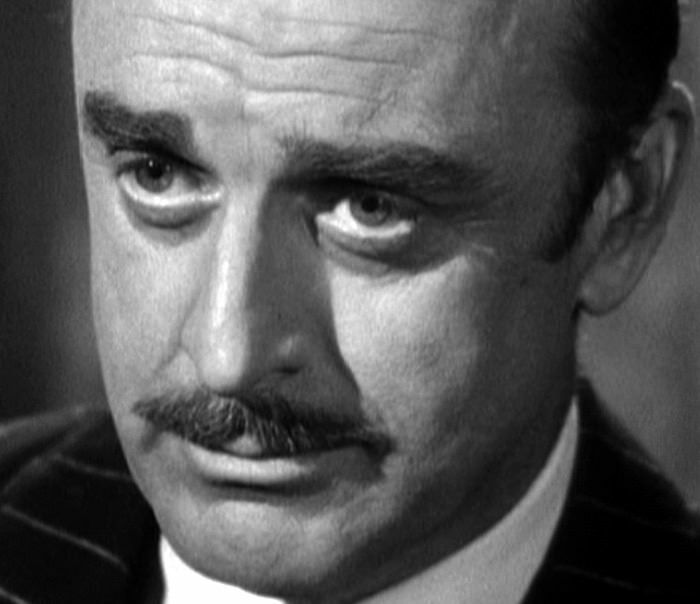 One of my favorite OTR voices is John Dehner. In his hay day, the man was everywhere! Radio, film, tv. He was awesome! One of the few that looked like he sounded. Another gorgeous voice! And he really understoond voice acting! Listen to the test version of the first episode of /Frontier Gentleman/, with Ben Wrignt, then listen to Dehner\'s performance of the same material. In the middle, Kendal delivers a line that leads to a donnybrook. Wright delivers it perfectly…but then, when you year Dehner deliver the same line, you know why /he\'s/ a star. Magnificent! Unmistakable and such a voice! It shocked me to realize that he also did \"old-timer\" voices on Gunsmoke. He co-starred in the 4th Chapter of The Alder Matter (YTJD). I also heard him on The Red Forest episode of Escape. On TV, he was in Andy Griffith Show on TV I think? I remember one where he played a huckster selling snake oil. More like he sold firewater to Aunt Bea and the Ladies Club! My favorite TV performance was a 77 Sunset Strip where he played ... John Dehner ... the story was set at a movie studio and they needed an actor to portray a doctor and he happed to be at the studio! Great voice, alwats always a delight to view! I seem to remember that he primarily played villain roles in movies and TV shows. That\'s why he was such an odd choice for the Doris Day sitcom. Guess viewers who knew his acting history saw the hard side to the character. I don\'t remember the character being warm and fuzzy by any means. character actors, especially earlier in their career, often get typecast into playing the same kind of role for most of their movies and TV shows. I guess John just had that menacing or bad guy look that he was cast in those roles by the casting directors of the films or shows. What they call “central casting”. He was on a lot of radio shows! He even wrote a couple of radio scripts, but I don\'t recall the series. Could listen to him reading the phone book!